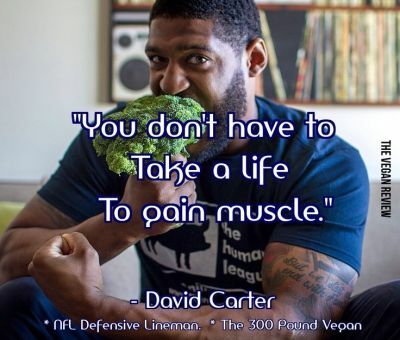 This year, along with my Dolphins, I will be keeping tabs on “The Bears.” Just drafted to this team, the 300 pound vegan, David Carter. Apparently, after watching the documentary Forks Over Knives, with his wife (an animal activist) he realized that the nutritional information he had been given by every sports nutritionist, coach, trainer and doctor, was actually killing him. Thanks to he and his wife Paige for all they do to help protect our animals and for helping to re-educate (vegucate). While I will be cheering on my home team this fall, I will be watching Carter. Show em what plant-strong can do! I will be taking the rest of the week off from blogging and most forms of technology while I enjoy some quality time with my family. If you are looking for a dose of weight loss motivation, check out Chris and Heidi Powell, tonight, on Extreme Makeover Weight Loss on ABC at 9pm eastern time. Love this quote. Apparently Coach Carroll made a very wise move when in 2011 he initiated meditation practice for his team to help fight stress and improve performance. Meditation. The less you think it’s for you, the more it probably IS! The One Thing Every Parent Should Tell Their Child…. While people debate the quality of the Super Bowl half time show, the one-sidedness of the game and talk about the commercials, my greatest take away from this year’s event, was a quote. I believe the one sentence every child should be hearing from their parents, repeatedly, is the one sentence that Seahawks quarterback, Russell Wilson, was told by his dad…”Why not you?” He wasn’t the tallest, or the biggest, but this didn’t stop his dad from believing that he was just as worthy as anyone else on this earth. I love that sentiment and the fabulous self-esteem that comes with being told you have just a good a chance as anyone. My parents helped me achieve a great self-esteem, and I certainly hope Mitch and I have done that for our boys. I always told them they could do and be anything they wanted. I think they got it! Speaking of my parents, my mom came to me, VIVIDLY, in a dream last night. It was only for a second or two but she was sitting at a table, looking beautiful and smiling directly at me. Since my kids have so much exciting, life changing stuff going on right this minute, I am certain Theresa Caputo (aka the Long Island Medium) would say, “This is your mother’s way of acknowledging that she knows what’s going on with the boys.” That’s good enough for me, and has me smiling along with her. Can More Ohms = More Touchdowns? I just read a great article in Yoga Journal about professional athletes practicing yoga. For those of you who may still believe “real men” don’t do funny contortions or chant ohms, you might be surprised to learn that the Seattle Seahawks are one of those professional teams that include yoga in their training. I was already rooting for them, but now I am feeling even more confident. Practicing yoga is truly good for every fiber of one’s being. The strength, flexibility, endurance, patience, and calm of mind that all come naturally from regular yoga practice, combine to set one up for success in all aspects of work and play. Go Seahawks! Must be a whole lot of celebrating (and planning to go to Disney) going on by those guys in the purple. Good job pulling it back together, Ravens. We almost lost you after the power outage, but alas, you couldn’t go home letting those 49ers take the lead…or the trophy…or the rings. What will we do on Sundays now?? Beyonce was gorgeous and wonderful but it was the Sandy Hook Children’s Chorus, Jennifer Hudson and most of all Alicia Keyes that brought me to (much more than) tears. Alicia Keyes better get the credit she deserves this morning. As for the commercials, I must have napped through many of them as I already need a refresher. For those that took yesterdays Super Bowl quiz —here are ALL the answers. You’ll have to go back to yesterday’s post to get the questions. If you are on FB I think you only see today’s entry. By putting peaceandfitness.com in your browser, you can access the entire site. Make it a great Monday and I’ll be back tomorrow morning after another big weigh in on Biggest Loser. After a Super Bowl weekend, it’s time for me to hit the scale, (and the big pot of vegetable soup I made yesterday, in preparation of damage control) too. 2. The Cleveland Browns, Detroit Lions, Houston Texas and Jacksonville Jaguars have not played in a Super Bowl . 3. The teams with four Super Bowl losses: Buffalo Bills (0-4), Minnesota Vikings (0-4), Denver Broncos (2-4) and New England Patriots (3-4). 4. Ravens linebacker Ray Lewis. 5. The Washington Redskins’ Timmy Smith ran for 204 yards and two touchdowns in Super Bowl XXII against the Broncos. That’s shocking considering he only ran for 602 yards and three touchdowns in his entire NFL regular-season career. 6. Roger Staubach (1963 Heisman with Navy, Super Bowl VI with Cowboys); Jim Plunkett (1970 Heisman with Stanford, Super Bowl XV with Raiders); Marcus Allen (1981 Heisman with USC, Super Bowl XVIII with Raiders); Desmond Howard (1991 Heisman with Michigan, Super Bowl XXXI with Packers). 7. Miami, which has hosted 10 Super Bowls. On Sunday, New Orleans will tie Miami when it hosts its 10th Super Bowl. 8. The Giants’ Phil Simms in Super Bowl XXI against Denver. Simms riddled the Broncos, completing 22-of-25 passes for 268 yards, three touchdowns, no interceptions and a 150.9 rating. beating the St. Louis Rams 20-17. 10. Running back Robert Newhouse threw the pass as the Cowboys beat the Broncos 27-10. Ravens Are Super Bowl Winners!!! This One’s For the True Football Fans…. SUPERBOWL TRIVIA –with thanks to the Denver Post. They were kind enough to post the answers, but I am going to let you mull around the questions and I’ll be back with the answers. Enjoy this day (and indulge a little) that is as much a part of our American culture as 4th of July and Thanksgiving. Super Bowl XLVII — that’s Super Bowl No. 47 for those of us not up to speed on Roman numerals — is nearly upon us. 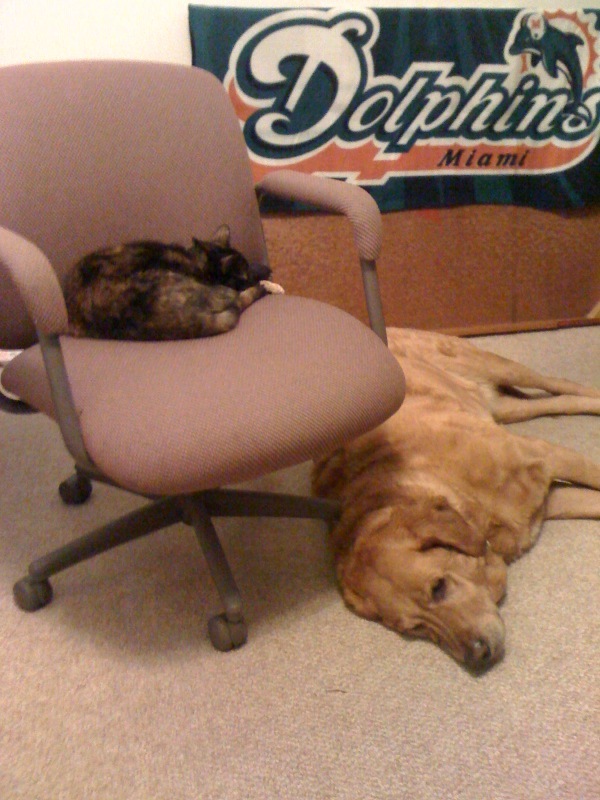 The overblown pre-game analysis, the commercials and the multiple talking heads are still to come. Finally, at 4:30 p.m. Mountain time Sunday, The Game kicks off. Whether The Game lives up to the hype really doesn’t matter. The Super Bowl, as an event, has become a national holiday. It wasn’t the first time a mouth roared before The Game. Prior to Super Bowl XIII, this Dallas Cowboys linebacker questioned whether Steelers quarterback Terry Bradshaw had the smarts to read Dallas’ defense. “He couldn’t spell cat if you spotted him the ‘c’ and ‘a’,” the flamboyant linebacker said. Name him. 2. Name the four franchises that have not played in a Super Bowl. 3. Name the four franchises that have lost four Super Bowls. 6. Four players won both the Heisman Trophy and also were named MVP of a Super Bowl. Name them. 7. Which city has hosted the most Super Bowls? 8. What quarterback holds the highest passer rating for a single Super Bowl game? 9. The Super Bowl was decided in the final play of the game only one time. Name the player who scored the winning points. 10.Who clinched a victory for the Dallas Cowboys over the Broncos in Super Bowl XII by tossing a 29 yard touchdown pass to Golden Richards with 7:04 left in the game? Posted on February 3, 2013 February 3, 2013 Categories Football2 Comments on This One’s For the True Football Fans…. Yes, there are two paths you can go by…. Hope, wherever you are, you had a magical Christmas. Today, after a long eating and drinking weekend/holiday, there are two paths we can choose from—one path, the path of jumping back into some cleaner eating and exercise–will burn off those extra holiday calories just in time for the next long holiday weekend. The second path—the one that says, “what the heck, I can just keep this up and jump back in after New Years is the one that will find us in tears when we get on that scale next Wednesday. We can each make the choice that seems best for us. I just got on the scale and the damage isn’t horrible. Since I have to go to the gym and teach these next few days anyway, I am going to also watch my eating and hope to wipe out the birthday/Christmas damage, before the next weekend comes along. If I can stick to that plan I will feel pretty good moving into the new year…and I have some hula hooping to add to my 2013 fitness, thanks to Carole. I can’t wait to finally watch the video this week (though trust me I have been picking up the hoop and giving it a few whirls each time I walk past it). “Yes, there are two paths you can go by, but in the long run there’s still time to change the road your on…” Whatever path YOU choose, I hope that it finds YOU at peace. I’ll be at the gym for 8:30 cardio and 11:30 SilverSneakers classes. Mitch and I have been busy working on some goals for 2013 and the best just might be yet to come. Much love to you all. What’s in the NFL Cafeterias These Days? As for Texan’s Foster, he finds the attention to his being a vegan distracting so he doesn’t talk much about it. (He says it’s not a cult thing, and according to some reports he may even make some exceptions–) He simply tells the press that he didn’t feel good when he ate big meals with meat. At 25 he had been cutting meat out of his diet for about six months before going to a plant-based diet. He is having his best season ever picking up more yards on the field than nearly any other player in the league! Though my heart belongs to the Miami Dolphins, I can easily see those Texans in the Super Bowl and clearly give credit to Foster for his contribution to his team who I believe have only lost 1 game this season, winning the other 10! Many have questioned my heavy lean into a plant-based diet, given that I workout for a living. Not only do I feel physically great, but mentally and spiritually as well. If it’s good enough for these guys, it’s definitely good enough for me…and on this Vegan (feast) Thursday, I hope YOU will consider a meatless meal…or even a meatless day! It is clearly a win/win/win situation. If the way you are eating is working for you, that’s great…but if you don’t feel your best, if your energy isn’t where it could be, if your all important numbers (cholesterol, sugar, weight, BP) aren’t where you (or your doctor) would like them to be, get a hold of The China Study. Read it and decide for yourself…What we eat is completely and totally intertwined with how we feel. Of this I am certain! Posted on November 29, 2012 Categories Fitness, Football, health and happiness, vegan thursday2 Comments on What’s in the NFL Cafeterias These Days?